There are some people who are simply born to dance, and they have that music inside them that defines their personality. While you might think it would be easy to buy a gift for a dancer, many people struggle to find the perfect thoughtful gift that the recipient will certainly appreciate. Not to worry, today we are going to give you a few popular and unique gift ideas for dancers that will put a little spring in their step and have them bouncing up and down with delight. Here is a gift idea for any dancer that they will certainly appreciate. 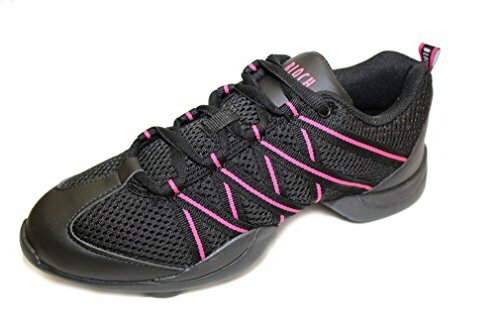 These shoes are designed to provide comfort and agility, made of lightweight leather and with a mesh split sole. 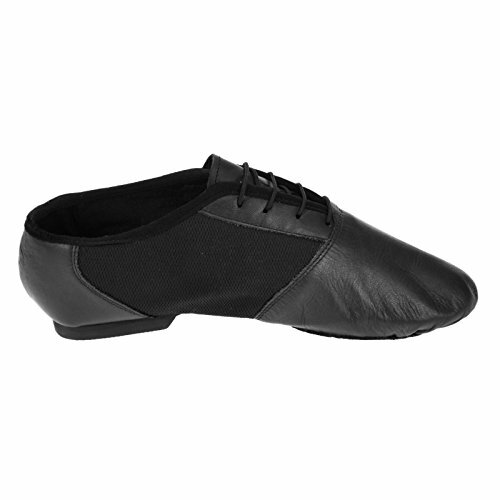 The front of these jazz shoes uses laces, providing the most in comfort and flexibility. Available in black and a variety of sizes, a gift any dancer will certainly cherish. Once the shoes no longer fit this dancer, they can be hung over a mirror or on the wall, and displayed as part of their room decor. They are something that will be a topic of conversation for many years to come. This crystal ornament is skillfully crafted by the world-renowned Crystocraft company. This collectible is something any dancer, regardless of their age, will appreciate and keep on display for years to come. This is not only a thoughtful gift, it is one that will be the topic of conversation anytime anyone sees it. Comes in a beautiful gift box, made to last, something your little dance will keep on display and enjoy each time they see it because they know how important they are to you for you to purchase such a thoughtful gift. 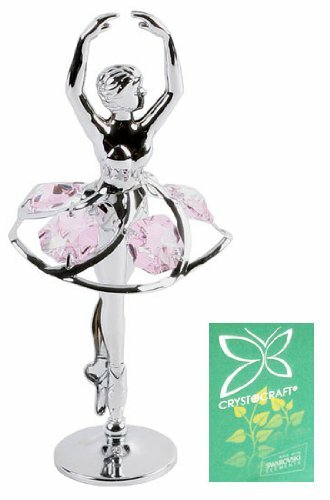 This is one of those thoughtful gifts that the dancer in your life will proudly display on the dresses, in a china cabinet, on the mantle, or anywhere friends and family can enjoy seeing it. Here is a keepsake for that dancer in your life that they will make use of immediately. perfect to place on the end table by the bed or on the dresser, and able to hold rings, necklaces, or anything this dancer considers near and dear to their heart. This rectangular metal tin can be used to store a variety of little items, from jewelry to spare change, and printed on top with the awesome dancer saying. The vibrant color of the box and the sublimation lettering allow the words to explode off the top of the tin. Due to the many uses, your little dance will find a way to keep that tin full for years to come. Now here is a gift idea for that dancer in your life that is thoughtful and fully functional too. These sneakers are breathable, allowing the feet to feel cooler while practicing even the most rigorous dance routines. The mesh construction and arch supports offer the most in comfort, regardless how many hours of practice each day this dance is trying to squeeze in. The synthetic construction is built to last, and the lace up fronts provide the most in support and comfort. Regardless if this dancer is into hip-hop or musical theater, these comfortable sneakers are skillfully crafted to allow them to feel like they are dancing on air while practicing and honing their craft. Never let it be said that dancers do not crave the spotlight. This is one of those dancer gifts that they will proudly wear any chance that they can. 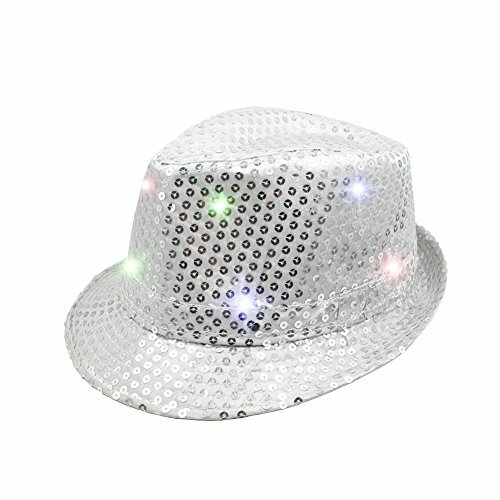 The LED jazz hat is made with quality parts, and features LED lights and an abundance of sequins that make the hat come to life. There are 9 different lights on the hat that make it stand out from a mile away. This hat is designed to fit most, perfect for a stage performer or dancer of any age. It doesn’t matter if this gift is for a dancer who is turning in her dance shoes and retiring or the little one who is performing in her first dance recital, it is a thoughtful gift idea they will wear proudly whenever they get the opportunity.